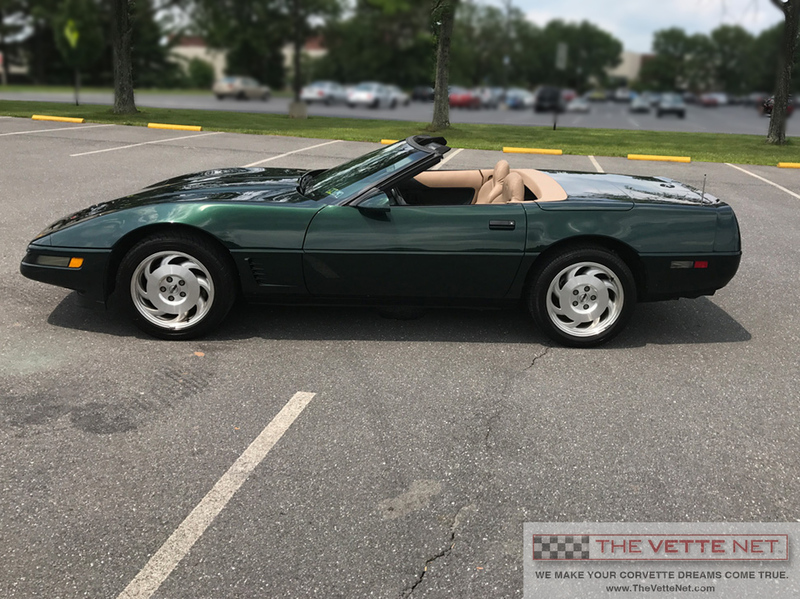 GENERAL INFORMATION: This beautiful Polo Green Metallic 1995 Corvette convertible is privately owned and located in PENNSYLVANIA. It is our pleasure to present to you this unmodified example showing just 58,198 miles on the odometer when photographed. If you are looking for a Corvette that is ready to enjoy and offered at a great value, here it is. No, it is not a show car but it certainly gets a lot of compliments. You will have years of fun driving this one especially with the top down. SPECIFICATIONS/OPTIONS as reported by the owner: This 1995 Corvette convertible is nicely equipped with numerous factory features and several nice options. It has an automatic transmission. The historically reliable LT-1 engine (300HP) is just as it left the factory with no modifications. The owner reports the Corvette runs strong and handles just as you would expect from a later model year C4. Don’t forget that many engineering improvements were added this model year making 1995 a very desirable year for the C4 Corvette. CONDITION RATING: The owner rates the overall cosmetic condition of his Corvette as nice. There are a few paint scratches and some interior wear as you might expect. Photos are available that will show you that detail. The Good Year Radial tires have many miles of tread life remaining and give the Vette a comfortable ride. The owner reports the undercarriage is clean and shows no leaks. To the owner’s knowledge, this Corvette has all its original body panels and paint. TRANSPORTED TO YOUR LOCATION: No matter where you live, we can assist you with selecting a transport service. I am very experienced working with international Corvette enthusiasts and welcome all inquiries.